Madagascar is establishing a multi-sectoral and multi-stakeholder nutrition information system owned by all stakeholders. 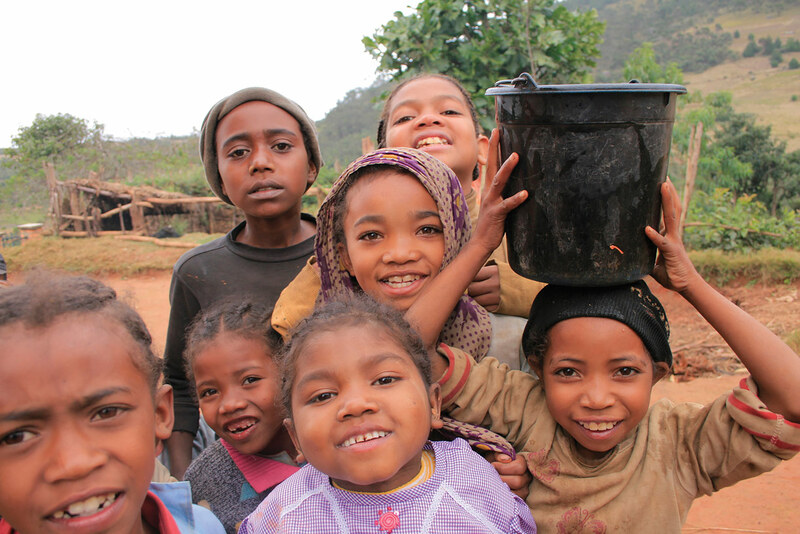 Despite the political crisis which has afflicted Madagascar since January 2009, the government is committed to advancing progress on scaling up nutrition through a strong multi-sectoral approach. Representatives from a wide cross-section of sectors and stakeholders work together through the National Nutrition Council or Conseil National de Nutrition (CNN) under the supervision of the Prime Minister. The CNN is leading efforts to ensure effective implementation of the National Nutrition Policy (PNN) and National Action Plan for Nutrition (PNAN II). 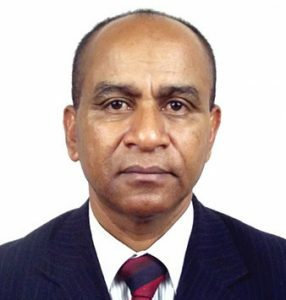 Through Government Decree 2013-847 signed in December 2013, a monitoring and evaluation (M&E) system has been created in Madagascar. The principle aim is to operationalise a coordinated multi-sectoral system to monitor information through responsible engagement of all stakeholders. Regional Nutrition Offices have been established with M&E groups that are providing a base of reliable, high quality data accessible to all relevant partners: national institutions, the private sector, development partners, communities and decentralised regional bodies. The regional M&E groups are charged with collating, analysing and reporting on data, as well as formulating recommendations for interventions based on the findings. To promote transparency in investment for nutrition. 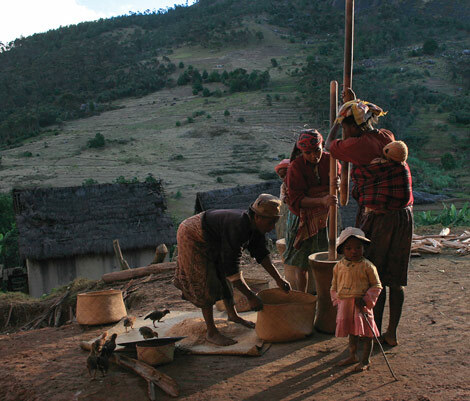 There are several information systems that collect nutritionrelated data in Madagascar. Sectoral ministries, civil society organisations, the private sector, United Nations (UN) system and donor agencies each have their own information systems. Sometimes, these systems create duplication when they collect data from the same sources, which is wasteful of resources. At the same time, there are still omissions in information. The National Institute of Statistics carries out the demographic and health survey, the permanent household survey, the multiple indicator cluster survey and anthropometric surveys. The National Integrated Monitoring and Evaluation System measures poverty through integrating a range of indicators of poverty. It is validated and recognized by the government as a system to monitor the implementation of the PNAN II. The National Early Warning System, under the coordination of the National Bureau of Risk Management and Disaster with the support of UN agencies is a system that collects information on the numbers of vulnerable people, food security and prices, and infrastructure damage during disasters such as hurricanes, drought and fire. The information is collected during emergency periods only to enable policy makers to take decisions in a timely manner. It is currently not functioning. The Food Insecurity and Vulnerability Information and Mapping System was established to provide information on populations and areas affected by, or at risk of food insecurity by the Ministry of Agriculture and the Food and Agriculture Organisation. Routine monitoring data are collected by agencies implementing the PNAN II. These include technical agencies (ministries of health, agriculture and education among others), technical and financial partners (UN agencies plus donors including the United States Government, the European Union and Japanese Government), non-governmental organisations (NGOs) and other stakeholders. These data are useful in understanding the food and nutrition security situation and trends. Relevant data that are routinely collected are incorporated into the national integrated monitoring and evaluation system. Rapid nutrition surveys are conducted by the CNN and sectoral ministries with the support of the United Nations Children’s Fund and other agencies. The National Food and Nutrition Surveillance System collects and analyses nutrition and dietary data through the statistical offices of various ministries. Data are disaggregated by age, gender, income group and geographic area. The nutrition information reporting system mirrors the decentralized structures. Data are collected and consolidated at the regional and district level before being transferred to the national level. Sessions to share information are held periodically throughout the year for validation by stakeholders before the information, including annual and interim reports, are disseminated to policy makers and donors. The national M&E group is multi-sectoral comprising M&E specialists from partner organisations and stakeholders in the fight against malnutrition (ministries, civil society, NGOs, private sector). These specialists come together to provide a technical platform and ensure that a participatory approach is applied to sharing nutrition information. The CNN provides a permanent secretariat for this group. In addition to coordinating collation and analysis of nutrition impact and coverage data, the CNN has set up a geographic information system which is mapping stakeholder groups and interventions at all levels to provide an overview of the implementation of actions for nutrition. Reports produced at each level are accessible and available, but their preservation over time is a problem due to the lack of an archiving system. conducting supervisions every three months, six months or at the request of Regional Office of Nutrition, and evaluating nutrition programmes annually. From analysis of the information and when response thresholds are reached, the government together with donors and other partners, launch an humanitarian appeal to mobilise donors. A multi-sectoral humanitarian response includes food distribution, water and sanitation actions, health and education interventions and preparation of development projects. 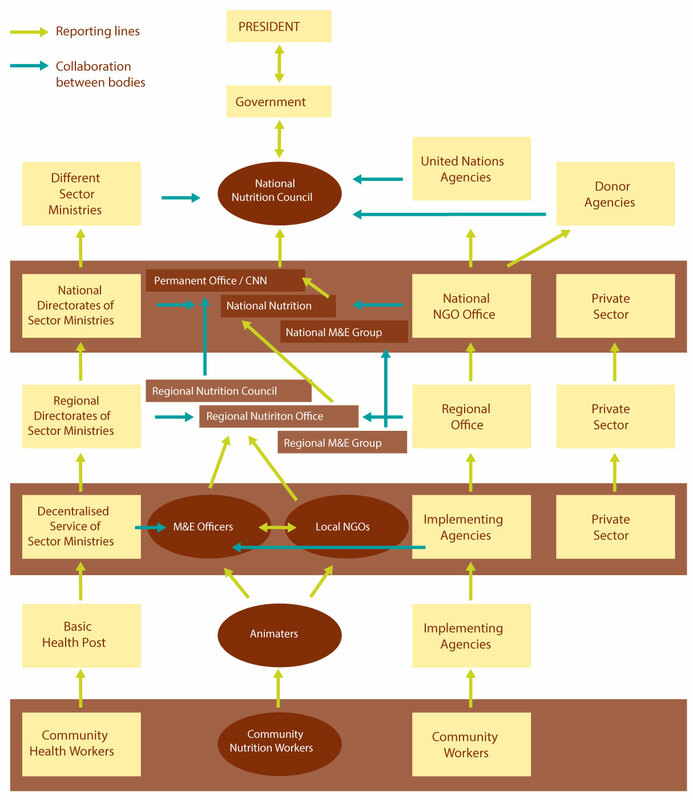 The existence of the coordinated multi-sectoral nutrition information system is an asset for Madagascar. Because of the way in which nutrition has been institutionalized, data reporting is done through the five levels of decentralized structures. Groups have been established at the different levels to strengthen the system. The information system functions across sectors and sectoral information is sent via the Regional Nutrition Office to the national level. The system has good coverage both geographically and in terms of equity (gender, income group, educational level etc.). The data collected are widely analyzed and used by multiple actors working in the field of nutrition. In addition, a computerised system has been introduced to faciliate transmission of data between different levels. While Government Decree 2013-847 has set out the framework, the nutrition information system is not yet fully functional in the way that it coordinates across sectors and partners. There are a number of challenges to be overcome. A major challenge is to ensure the efficient use of the information collected from the existing systems. There are some parallel information systems and as yet no mechanism in place for harmonising data and ensuring quality control. Some information, such as routine nutrition data collected through the growth monitoring system in basic health posts, is difficult to interpret because it can be incomplete and arrives late. The CNN is dependent on collating information from the systems of different stakeholders. This can delay reporting and create challenges for coordination accentuated by the difference in logistical and financial resources of partners. Furthermore, dissemination of findings is limited to reports and coordination meetings and there is no formal mechanism for sharing data between different stakeholders. An ideal M&E system for Madgascar is presented below. It shows that at each geographic level, there is an exchange of data between the entity responsible for the coordination and the various service providers, whether public or private. Collation and analysis of data is carried out at all levels to help stakeholders in decision making. Its implementation requires the mobilization of all actors. The creation of a platform for multi-sectoral M&E at national level in the form of the national M&E group helps to overcome institutional barriers and centralize all nutrition information. The national platform ideally needs to include all ministerial departments, representatives of the various programmes, UN system agencies, donors, civil society organisations and the private sector. This would help to resolve conflict, promote harmonization of methods and assure high quality standards among all data producers. Human resources need to be strengthened – in number and diversity – for the platform to function optimally. Further reinforcement of regional M&E groups is needed to provide sufficient financial resources and software so that they can collect, collate and analyze data, and prepare reports in a timely fashion for the use of all stakeholders at the district, regional and national level. 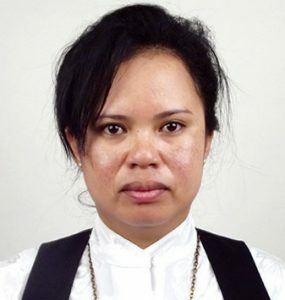 The success of Madagascar’s nutrition information system is based on the ownership of the system at all levels – central level to local level – and by all stakeholders. The development of the system was conducted under the leadership of the CNN in a participatory manner. The initiation of the system seeks to provide greater synergy between stakeholders and better harmonization of activities. Coordination in data collection is paramount. Uncoordinated data collection systems that rely on the same sources are not only a waste of resources but contribute to overload, poor quality, gaps, misinterpretation and delays in proper analysis of data. Some information systems may need to merge to ensure harmonization and usefulness of data. 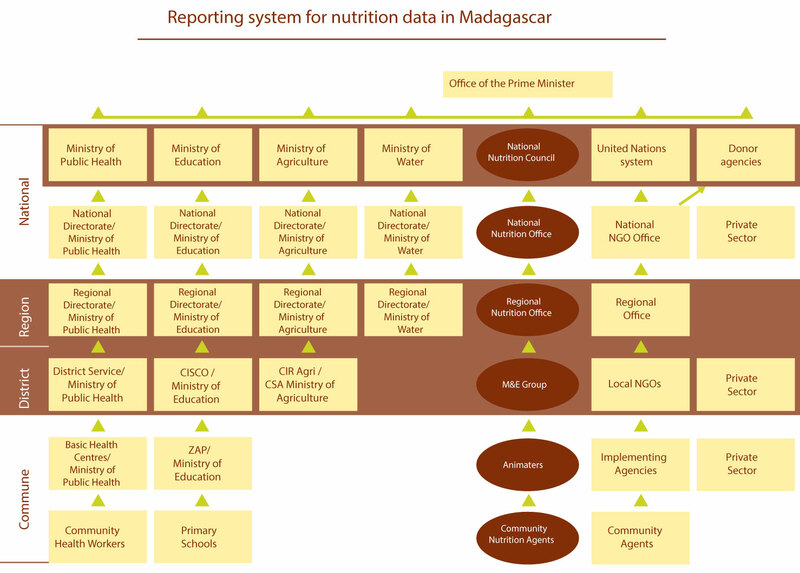 The success of Madagascar’s nutrition information system is based on the ownership of the system at all levels – central level to local level – and by all stakeholders. However, it now requires to be sustained by increased capacity.